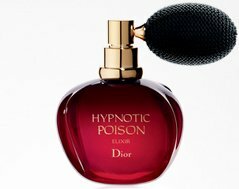 Hypnotic Poison Elixir by Dior Eau De Parfum Spray 50ml. To reinterpret this fragrance, Francois Demachy chooses a mixture licorice-star anise. A sensorial and magnetic alchemy thought with Arabian Jasmine, Bitter Almond and musky Vanilla.